With the values ​​of the risk and initiative,the taste of innovation, the ethics of responsibility, the pleasure of discovery, the will to change the condition of things to state a new product or to exit from an old market, we create culture. 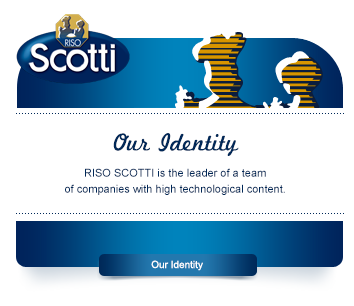 It's the combination of know how and people who work for Riso Scotti, what characterize us and make us unique! 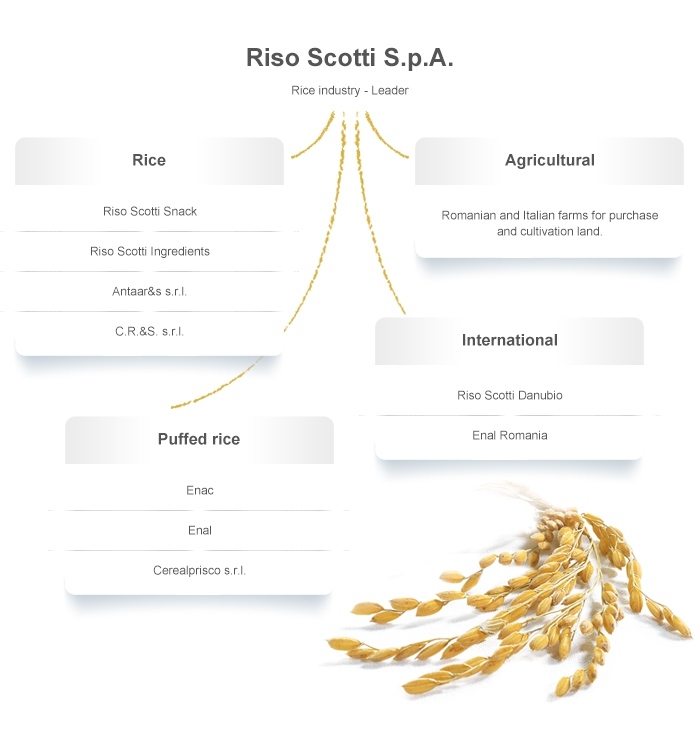 Dealing with rice, for Scotti, is a tradition that has been passed down for six generations. 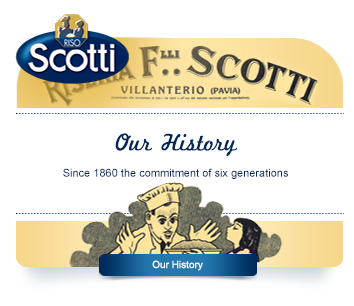 In more than a century and a half our company has grown and been transformed from simple rice mill to a technological food pole. 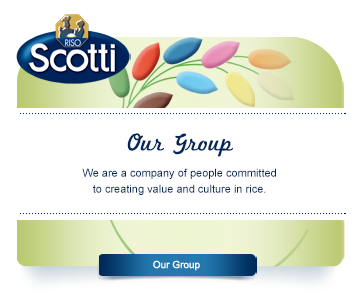 Our pride and commitment to produce the best rice remain unchanged. Thanks to all who have allowed and allow it all happen every day! "In the culture of a company there are the values ​​of the risk and initiative,the taste of innovation, the ethics of responsibility, the pleasure of discovery, the will to change the condition of things to state a new product or to exit from an old market. Above all we must not forget that in a company, producing, the set of specialized knowledge, the knowhow and all the people who work there come before the product in itself - the social capital that characterizes each firm and makes it unique.